Sometimes the right tool makes a task doable, or, dare we say, ap-peel-ing. 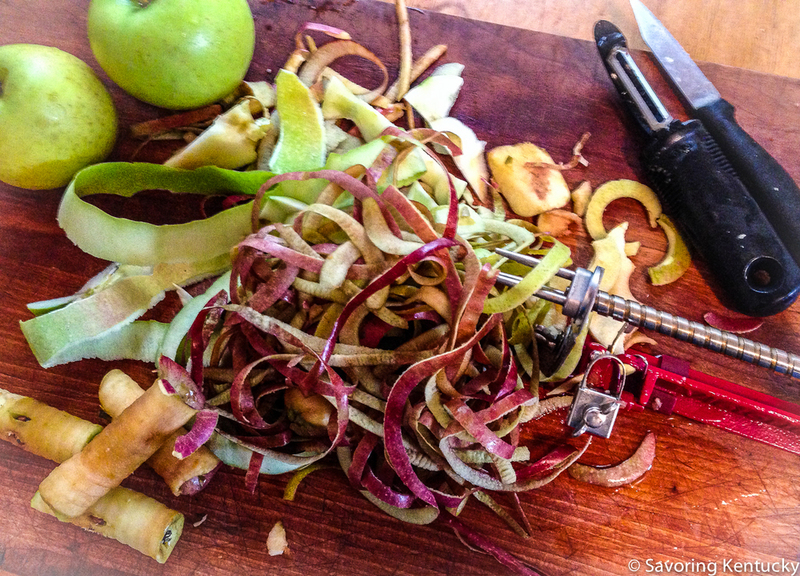 A few years ago, fantastic cook JR introduced us to the Back to Basics apple peeler, which she used to make and freeze large numbers of fresh apple pies for family meals. 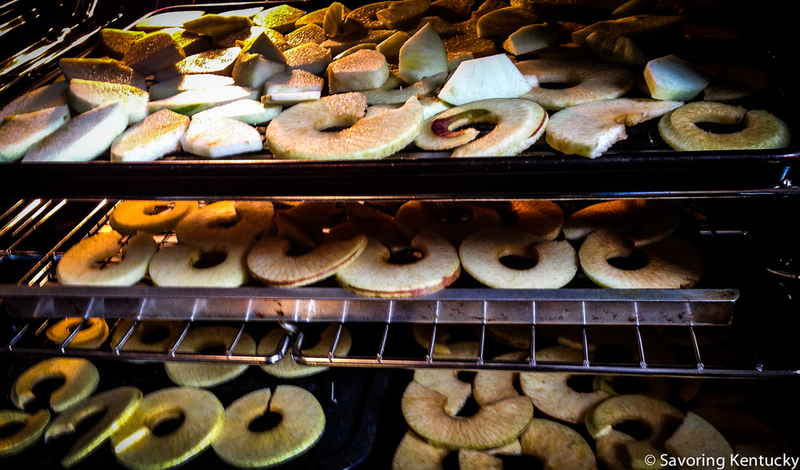 Now this lovely tool helps several people in my near neighborhood make dried apples each fall. I like the ease with which the beautiful Granny Smith, Mutsu, Winesap, and Gold Rush apples from Reed Valley Orchard and Randal Rock's new Gold Rush acres turn into peeled (mostly), cored apple rings. I think I like the neighborhood tool sharing even more.